Traffic Cones « RaceWorks Inc.
Used for runner’s safety, lane closures and traffic control. Typically a 5k route will use between 100 and 150 cones depending on the course. Our cones are 28″ tall and have dual bands of 3M reflective tape. Download directions to our equipment renal yard here. 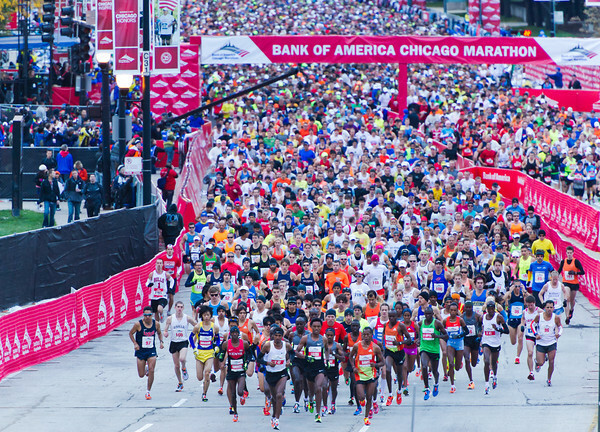 “Raceworks Inc. is our reliable and professional “silent partner.” Their work behind the scenes to make the Freescale Marathon and Half Marathon the world-class event that it is. From pre-event consultation to race-day logistics, Raceworks Inc. offered a range of professional services to insure that all ‘mission-critical’ aspects of the race were in-place and up-to-speed”. Copyright All images appearing in the RaceWorks Incorporated web site are the exclusive property of RaceWorks Incorporated and are protected under the United States and International Copyright laws. The images may not be reproduced, copied, transmitted or manipulated without the written permission of RaceWorks Incorporated. Use of any image as the basis for another photographic concept or illustration (digital, artist rendering or alike) is a violation of the United States and International Copyright laws. All images are copyrighted © 2003 - 2016 RaceWorks Incorporated.